Andrew Stephen Roddick is a former ATP ranked World No. 1 player who was born August 30, 1982 in Omaha, Nebraska. He turned pro in 2000 at the age of 18 and in 2001 defeated Michael Chang in the second round of the French Open, as well as fellow American Pete Sampras at the Miami Masters. His impressive record includes taking the US Open title in 2003 and holding the runner up spot at Wimbledon in 2004, 2005, and 2009. 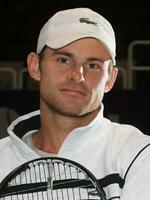 In 2000 Roddick also established the Andy Roddick Foundation which provides sports-based mentoring and educational opportunities to youth in low-income areas.